A home is a major financial undertaking. Not only do you have to make your monthly payments, but there's things like home repairs, insurance, potential HOA fees, and more. Before you start applying for loans, take a look at your finances and see if there are places where you can scale back on your debt. 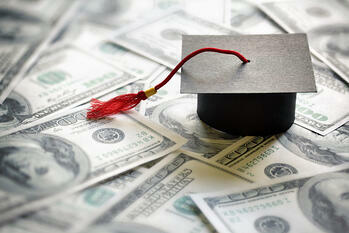 Student loans are a common occurrence amongst those young adults who are looking to purchase their first home. Earlier this year, new programs were introduced to help people secure a mortgage even if they carry student loans. The average American household carries over $16,000 in credit card balances. Ideally, you should aim to utilize no more than 30% of your credit at any given time. If you are dealing with several high interest rate cards at one time, look into consolidation. This process will take all your high interest debts and combine them into one easy, monthly payment. There are things in life that we need; food, water, shelter, etc. and then there are the wants. This can include things like your daily latte, going out to dinner a few times a week, or a cable television subscription. If your budget is stretched to the max, take a look and see where you can trim some of the excess. This will help you to save more before buying a home. If you aren't sure where to start, check out our debt elimination plan. Blindly making payments isn’t going to help you get your debt paid off. You need to come up with an organized plan that includes your entire budget. Examine which of your debts will cost you the most over time and focus your energy on that.